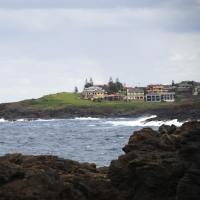 The next investment hotspots will be in certain coastal areas south of Sydney as people move away from the NSW capital and discretionary spending returns to the market, according to the owner of a large real estate group. Speaking at a media briefing earlier this week, Charles Tarbey, owner and managing director of Century 21 Australasia said the coastal strip between Wollongong and Nowra is primed for capital growth – but investors need to be prepared to wait for the price increases. Mr Tarbey said the region between Wollongong and Nowra is set to benefit from various roads and infrastructure projects. He said Wollongong in particular performed far more consistently than other coastal areas or resources-dependent towns. In addition, he said the local council responsible for Nowra – Shoalhaven City Council – is becoming increasingly progressive and encouraging development. Mr Tarbey said growth wouldn’t be instant, but if investors get in now they will benefit from the area’s promising prospects.